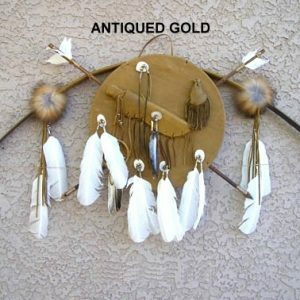 This buckskin Ceremonial handprint Shield measures 15 inches in diameter. 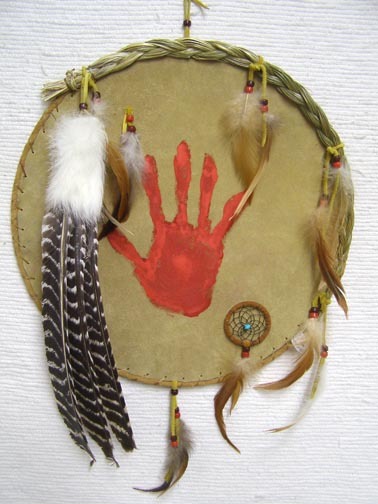 The big red hand print in the center was the native way to say, “I was here”. 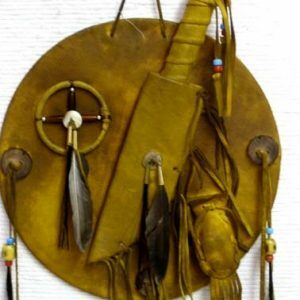 Each shield is decorated with a turkey feather & fur fan & a small dream cather. These items may vary in color. It fetures a braided yank of sweetgrass affixed to te upper protion of the shild. 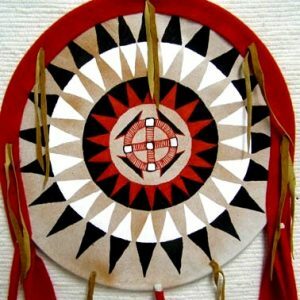 Additiona ties of beads & feathers finish off tis shield. 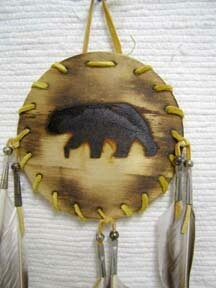 This would look nice in most any native American collection. A certificate of authentiity is included with this item.